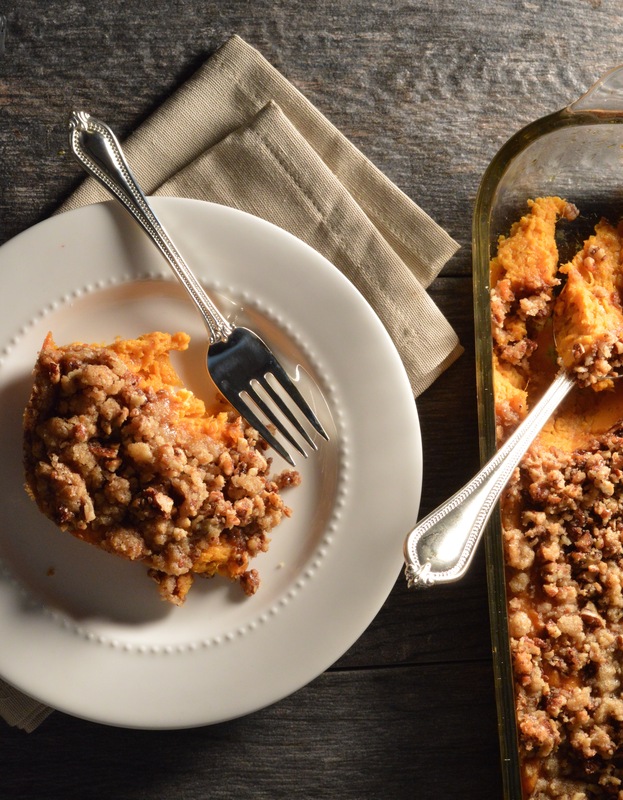 Yams are a common addition to a holiday table. There are a TON of ways to prepare them… Perfectly toasted marshmallows on top, “candied” with brown sugar and butter, sweetened with maple syrup… But none are quite as good as the yams my grandma made. I didn’t have her recipe, but I had made them with her once and this was as close as my memory would take me. My husband said that these were actually better than hers but, there’s no way that could be true. Because I made them, not her. The rock star came into my family as a bit of a misfit… Very long scraggly hair, kinda loose and laid back. Definitely not the button down, Docker’s guy that a parent might hope for. However, that he was male and white was probably enough of a relief to my parents that they were able to over look the hippy at their table. Somewhere along the line, my Gramma found out that he had a real love of yams. She shared his enthusiasm and was very vocal about the fact that she was making these yams for the two of them and the left overs were always sent home with us. Every time, without exception until they were no longer present at our holiday table. Thanks for that, Gramma. You always made our extended family just family and they were all as lucky to have you as we were. 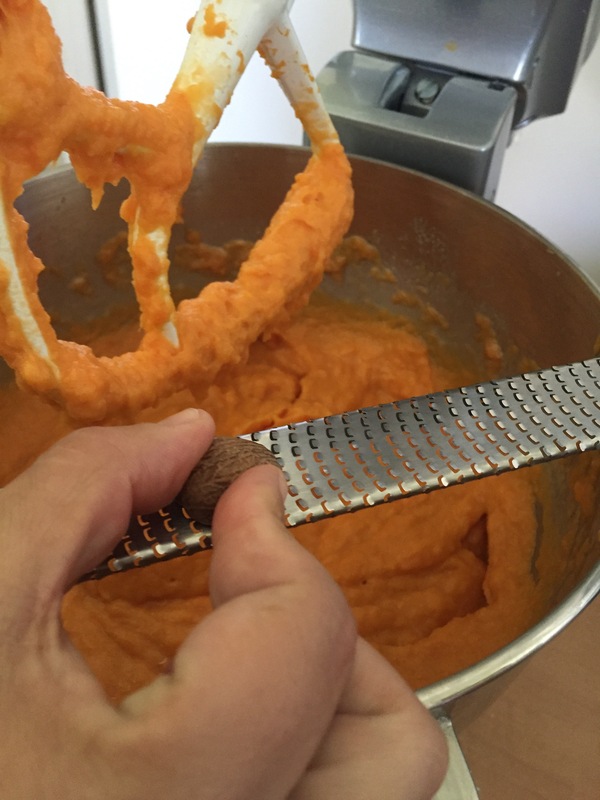 6 cups mashed yams. Fresh is best, but you may use canned. If you do, get the kind without syrup. 1 heaping tsp nutmeg. Freshly grated is best and has a superior, slightly floral flavor. 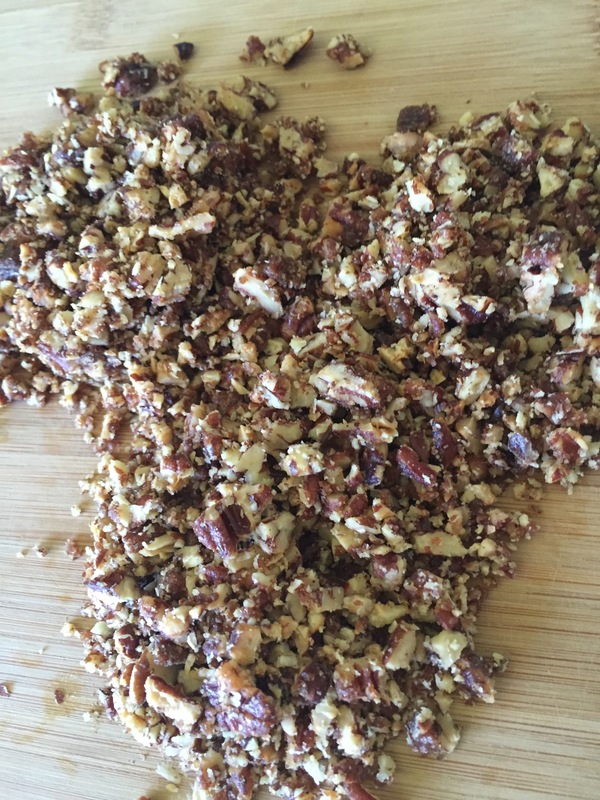 For the candied pecan topping use THIS recipe and once cooled chop them roughly. 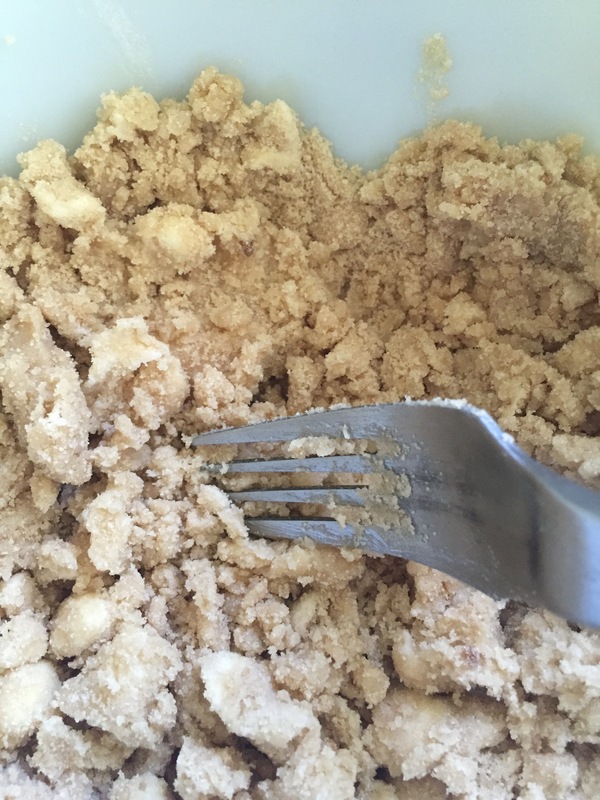 In a separate bowl, add 1/2 cup packed brown sugar, 1/3 cup flour and 6 Tbsp ice cold butter. Combine the sugar and flour, cut in the butter quickly. Add chopped nuts, mix until coated. Peel and wash yams. Cut into small chunks and place in appropriate sized pot. Fill with water and bring to boil over high heat. Boil until yams are fork tender. 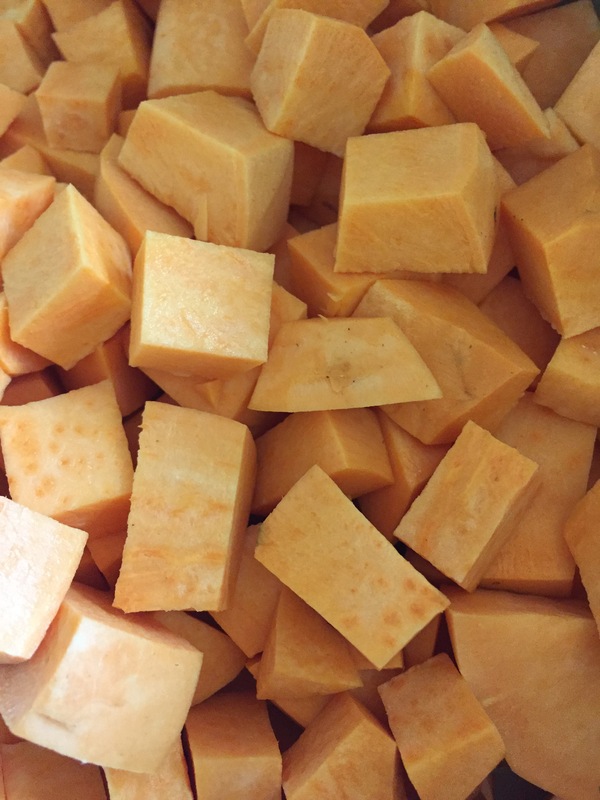 In the bowl of your stand mixer (or a large mixing bowl), combine yams, sugar, eggs, butter, salt, milk and vanilla extract. Whip, using the paddle attachment until smooth. If not using a stand mixer, begin to mash with a potato masher and finish with a whisk. 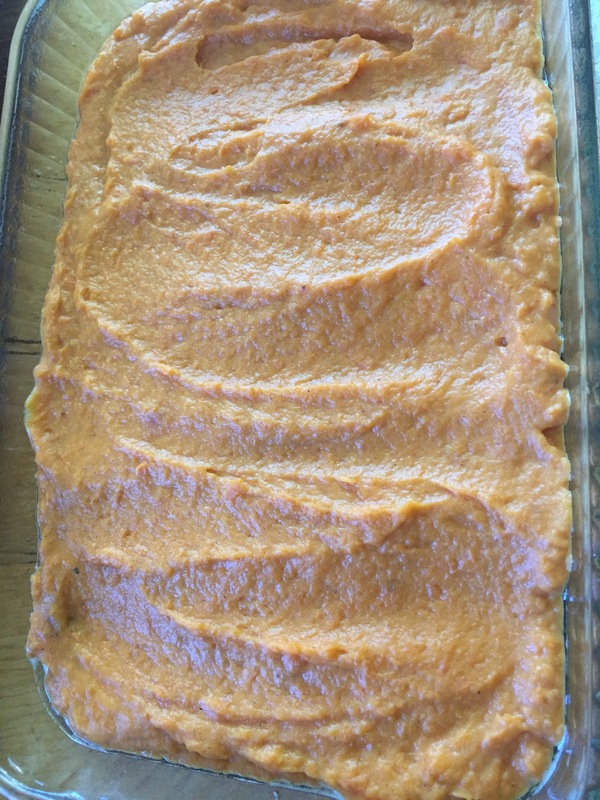 Spread yam mixture evenly into a 9×13 casserole dish. 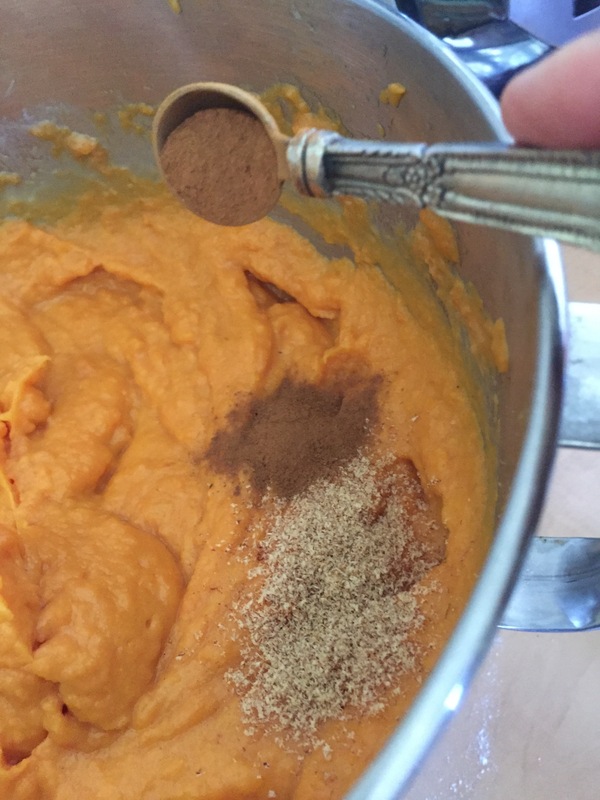 Sprinkle the nut/flour/sugar mixture evenly over the surface of the yams. 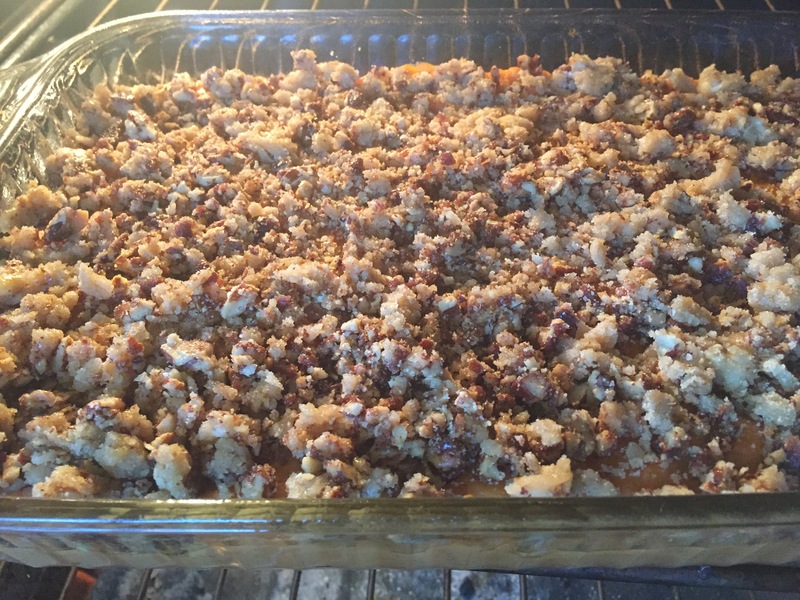 Sprinkle crumb topping evenly over the yams. Bake for 35-45 minutes or until golden and bubbling. This is a large gathering sized recipe. If you have 12 or fewer attending your gathering, half would be more than enough. I’m looking forward to hearing about it if you make this dish and I hope it becomes as special to your family as it is to mine. Swearing Mom out. Cubes an inch or so will cook and soften quickly and evenly. If you’ve never grated your own nutmeg, try it this Holiday season. Trust me, it’s legit. It should be mashed potatoes consistency. Chop the nuts and cut that butter in quickly! You don’t want the butter to melt. pea sized chunks is what you’re going for. Pop that bad boy in the oven and and wait for the smells… OOOOOOHHHHH the smells! The end result will be irresistible!